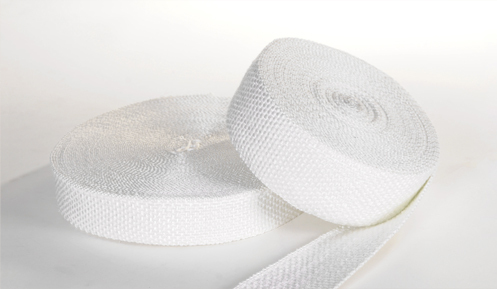 Style 930 is a textured fiberglass yarn woven into a gasket tape of uniform width and thickness. Style 930 is suitable for doors and lids as well as an insulation material. Style 931 is the same as Style 930, but is woven with a loose center weave to allow for easy insertion of bolts saving valuable maintenance time. 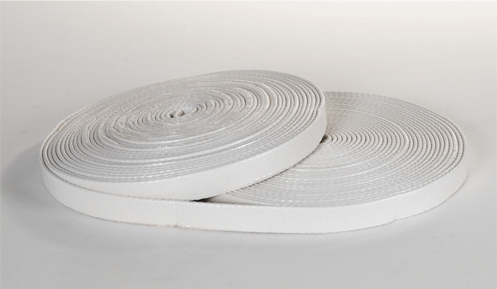 Style 931 is suitable for doors and lids as well as an insulation material. For use on doors and lids as well as an insulation material. Style 933 is a textured fiberglass yarn, woven into a fiberglass cloth, treated with a heat resistant compound and folded into a required width and thickness. For use on doors, ducts, lids, vats, and vessels even with light bolt loading. Style 941 is manufactured from rubberized fiberglass cloth, folded over a fiberglass rope core, and cemented to form a bulb and tail structure. This construction allows the tape to be used as a high temperature O-ring held in place by a fabric tail assembly. For use on furnace doors, structural seams and precipitator equipment.